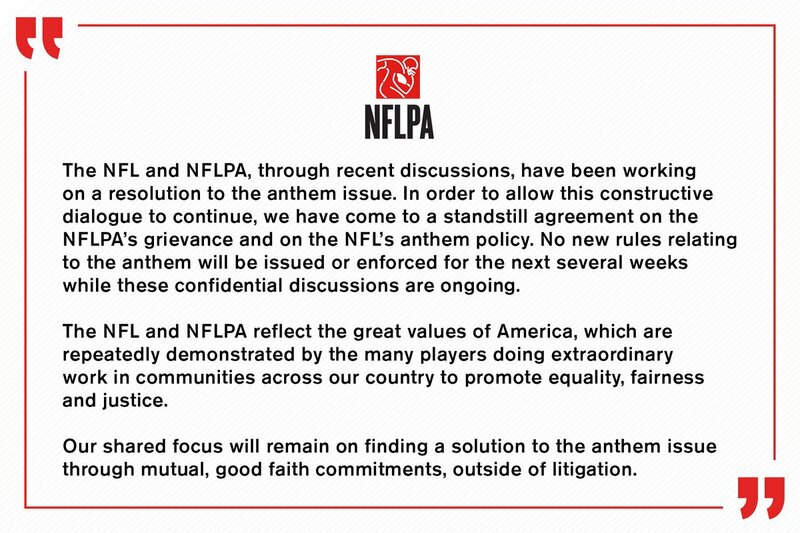 This comes hours after the Dolphins release their team policy that any players protesting during the anthem will be penalized by the team; penalties could range between a fine and game suspensions. The CBA (which has been in effect for several years) allows for teams to penalizes its players up-to 4 games. I am so glad that the NFL (and the Dolphins) look like complete assholes because of this. There are so many better ways to have handled respected what players are protesting and still finding a way to make both points. This policy was written back in May and already it's crapped itself. Not surprised when you a get a bunch of out-of-touch rich guys to come up with a policy that is designed to shut people up. Probably the worse thing they could have done going into the off-season.